I love finding new ways to style pieces in my wardrobe. You don't have to purchase five million articles of clothing to have a different style each day. The great thing about certain items is that they can be mixed and match in so many ways. 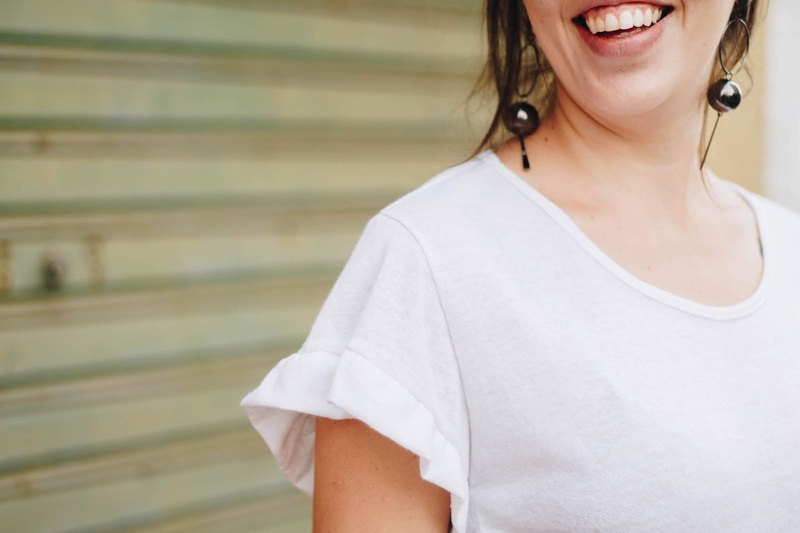 My favorite article of clothing that I believe everyone should have as a staple in their wardrobe is the classic white t-shirt. This is a piece that can be mixed in so many ways that you could wear it every day, and no one would be the wiser. 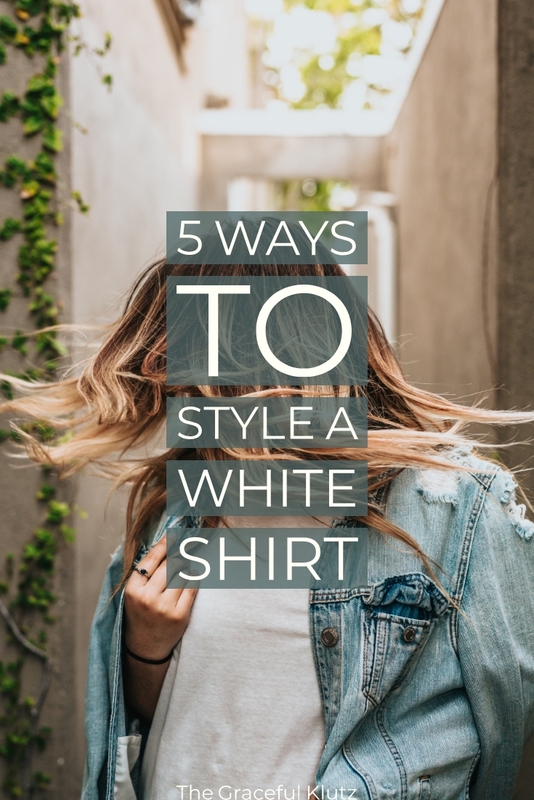 With a little creativity, you can take that white t-shirt and wear it in almost any occasion. If you are trying to find some style inspiration, I have cultivated five different styles that can be altered to your choosing. This style is the everyday outfit that we all know and love. A simple shirt and jeans will always be in fashion and are the most effortless style to perfect. You can tuck in your shirt, leave it out, or create a little knot (on the side or the front). I chose skinny jeans and sneakers for this outfit, but you can add whatever you feel like. While I didn't add accessories to these pieces, you are more than welcome to mix and match. The great thing about this look is that you can make it whatever you want. Is it a little cold outside? Add a bomber jacket or your favorite leather coat. Stack on the bracelets and add ankle boots for an edgy vibe. Pick up a baseball hat and head out for groceries. Put on a dark bralette for a daring look. The possibilities are endless. I've recently written an article about office-friendly attire. While a t-shirt was not in that mix, you can dress it up for a work function. Tuck it into a midi skirt with a chunky pair of heels, and you have yourself a professional look. I love this skirt because it has a professional structure while being form fitting in all the right areas. If this isn't your cup of tea, you can always get a pair of pants and throw on a blazer for the look to work as well. I would advise that, while most people know this, make sure to wear a flesh-colored bra (if you wear bras). Many people think to match your shirt, but a white bra will only show through easier. This is a casual take in the summer heat. If you don't like overalls, you can easily substitute this out for your favorite pair of shorts. I think overalls are a great piece in any wardrobe because of the simplicity. You can throw this on quickly and be out the door while still looking put together. For me, a hat and slides are always a necessity in the summer heat. I like as few layers as possible, so this combination keeps me cool while still looking stylish. Going to a festival and have nothing to wear? A white t-shirt can always be your best friend. Add some shorts, a kimono, and booties to make this look concert approved. Keeping the outfit simple allows you to add the Instagram hair and accessories so that everything pops perfectly. You could also switch out the kimono for some fringe if you want to change the mood. I would suggest the ankle boots no matter what. Make sure they are comfortable and a pair you don't mind getting dirty. After all, music festivals are known for getting a little muddy. This is an excellent outfit because, when it gets too hot, you can quickly ditch the kimono and bunch up your shirt for some breathing room. Want to go out for a fancy dinner, but not look like you are walking down the aisle? The shirt with a dress trend has been around for a while now, and I don't see it going anywhere. It's a great way to play down that stylish dress while still looking put together. For me, I love mixing this outfit with a pair of sneakers to add to the casual vibe. If you want the casual yet fancy look without doing this trend, you can also go with the office friendly version. Get a flowy midi skirt (or bold colored pants) and pair it with some heels. Tuck in your shirt and you instantly have the same effect. What I love about all of these pieces is that, while each is different, they all have a relaxed approach to them. After all, we should always look for comfort in any style we pull off. There is no reason to be sitting at the dinner table feeling like you can't breathe. What is your favorite style out of all of these? Let me know in the comments below!